Rack mount PLC splitter is designed to meet the requirement of high cabling density for data centers or server room. It can be firmly installed on the data center or server racks. 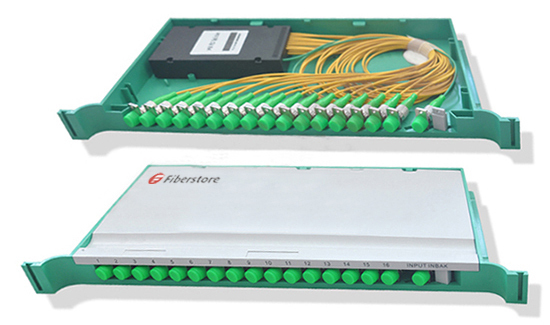 It is an ideal solution for high density cabling environment. FS.COM can provide PLC splitter ports up to 64 in 1U 19-inch rack. The following picture shows the details of a 1:8 rack mount one provided in FS.COM. PLC splitter is a cost-effective passive optical component enabling a single network interface to be shared by two or more users. Selecting the right package form factor for it can help a lot during both the network deployment and maintaining. The above mentioned splitters in different package form factors are all being provided in FS.COM. Customized ones are also available in FS.com. Kindly contact sales@fs.com for more details if you are interested. This entry was posted in Fiber Cabling, How To, Optical Splitter, WDM Optical Network and tagged FTTH, PLC splitter, PLC splitter selection, splitter ratios on August 12, 2016 by Alice Gui. With the growing demand for optic signal transmission, fiber optic splitter becomes more and more important in today’s fiber optic communication. In terms of principle, optical cable splitter can be divided into FBT (Fused Biconical Taper) splitter and PLC (Planar Lightwave Circuit) splitter. Since, these two splitters have different working principles and applications, this post will make a comparison between FBT splitter and PLC splitter. A comparison between FBT splitter and PLC splitter can be illustrated from the following aspects. Operating wavelength: The FBT splitter process tapered fiber mode field changes, the need to adjust the process monitoring window, the operating wavelength is adjusted to 1310nm, 1490nm, 1550nm operating wavelength. The PLC splitter is not sensitive to the working wavelength, also be said that the insertion loss of the light of different wavelengths are very close, typically working wavelength reaches 1260 to 1650nm, covering various PON standards at this stage all the necessary possible to use a wavelength as well as a variety of test monitoring equipment needed wave. Spectral uniformity: The FBT splitter ratio can be controlled according to require on-site, if you went uniformity good, you need to go through the accurate calculation of pairing. The ratio variable is the best advantage of the device. The PLC splitter ratio is determined by the design of the mask. Currently the ratio is uniform, due to the high consistency of the semiconductor process, the uniformity at the channel of the device is very good, and keep the consistency of the size of the output light. Temperature dependent loss: The FBT splitter usual working temperature in the -5 to 75 ℃, insert loss insertion loss varies with temperature variation, particularly in the low temperature conditions (-10 to 0 ℃), the insertion loss of unstable. The PLC splitter working temperature in the -40 to 85 ℃, insert a small amount of loss varies with temperature changes. Input/Output maximum fibers: One or two inputs from FBT splitter with an output maximum of 32 fibers, while PLC Splitter with an output maximum of 64 fibers. Cost: FBT splitter is made of materials that are easily available, which determines the low cost of the device itself. PLC splitter manufacturing technology is more complex, which leads to the higher price. 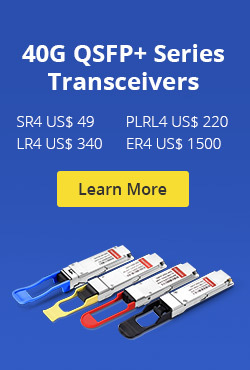 From this post we have known the differences between FBT splitter and PLC splitter, for more information please visit fs.com where the quality of FBT splitter can be trusted and deployed in a cost-effective manner. This entry was posted in Optical Splitter and tagged FBT splitter, PLC splitter on May 30, 2015 by Admin. 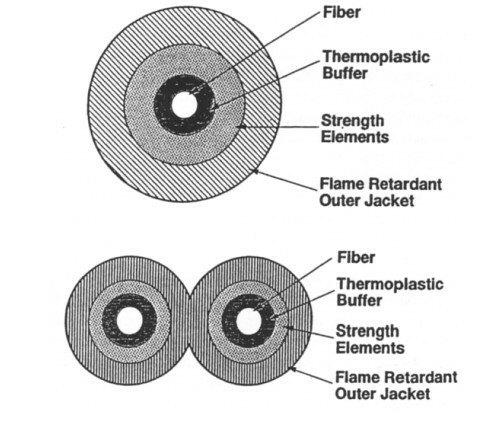 There are many differnt types of fiber optic cable; as shown in Fig.1, it is possible to package multiple fibers into a single unibody cable or into a ribbon or zipcord structure. Bundles of fibers whose ends are bound to gether, ground, and polished can form flexible light pipes. Of course, it is possible to bundle the fibers in such a way that there is no fixed relationshiip between the location of an input fiber and an output fiber; the principle purpose of such structures is to conduct light from one location to another, for illumination as an example; these are sometimes referred to as incother, for illumination as an example; these are sometimes referred to as incoherent bundles, although they have little to do with optical coherence theory. Amore interesting case is when the fibers are carefully arranged so that they occupy the same relative positions at both ends of the bundle; such bundles are said to be coherent. A coherent bundle of single-mode fiber is capable of conducting a high-quality image even when the bundle is made highly flexible; such fiber arrays have many applications in remote vision systems, and are used in fiber optic endoscopes for medical applications. Not all fiber arrays are made flexible; fused, rigid bundles or mosaics can be used to replace low-resolution sheet glass in cathode ray tubes. Mosaics consisting of hundreds to millions of individual fibers with their claddings fused together have mechanical properties very much l ike homogeneous glass. Another common application of mosaics is as a field flattener. If the image formed by a lens system falls on a curved surface, it is often desirable to reshape it into a plane, for example to match a photographic film plate. A mosaic can be grund and polished on one end surface to correspond with the contours of the image, and on the other surface to match the configuration of the detector. Similarly, a sheet of fused tapered fibers can be used to either magnify an image or miniaturize an image, depending on whetther the light enters the smaller or larger end of the fibers. Where is propagation distance and cladding, material properties, and the overlap distance between the two fibers. Although this is only an approximation and neglects higher order terms, it does reflect the sinusoidal dependence of coupled power on wavelength and the dependence of power transfer on cladding diameter and other effects. Tapered couplers can be used to separate wavelengths using this dependence; by proper choice of the device length and taper ratio, two wavelengths can be made to emerge from two differnt output ports. 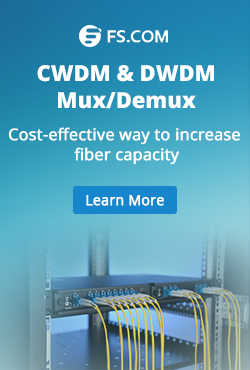 Some applications include filters for wavelength division multiplexing (WDM) systems, or multiplexing signal and pump beams in an erbium-doped fiber amplifier. In some cases, such as Fiber Splicer, it is more desirable to remove the dependence of coupled power on wavelength; acromatic couplers can be fabricated by using two fibers with different propagation constants. These are known as dissimilar fibers; in most cases, fibers are made dissimilar by changing their cladding diameters or cladding indices. In this case, the preceding equation for coupled power must be modified and the power vs. distance is not simply sinusoidal, but becomes much more comlex. Other approaches are also possible, such as tapering the device such that the modes expand well beyond the cladding boundaries, or encapsulating the fibers in a third material with a different refractive index. Often, it is desirable to third material with a different refactive index. Often, it is desirable to taper multiple fibers together so that an input signal is split between many output fibers. Typically, a single input is split into outputs, where the configuration of fibers in the tapered region affects the output power distribution; care must be taken to achieve a u niform optical power distribution among the output fibers. The optical power coupled from one fiber into another can also be changed by bending the tapered by bending the tapered device at its midpoint; into another can also be changed by bending the tapered device at its midpoint; this frustrates coupled power transfer. For example, displacing one end of a 1 cm long taper by only 1 mm can change the coupled power by over. Applications for this effect include variable optical attenuators and optical switches. This entry was posted in Optical Splitter and tagged Fiber Optic Splitter, Fiber Splicer on July 10, 2014 by Admin. As was mentioned earlier, an FBG resonance wavelength shifts with the mechanical strain it is subject to. So, if the FBG is cemented to a structure, it is possible to calculate its strain by measuring the FBG resonance wavelength, the wavelength at which it reflects the light impinging on it along its connecting optical fibre. Basically, the way to measure the strain is to launch into the fibre optical pulses at different wavelengths, and to measure the reflections coming back from the FBG. Since only the pulses whose wavelength matches the FBG resonance are reflected, by keeping track of the reflected pulses the resonce wavelength is determined, and from it the strain. In the measurement system shown in Fiber Splitter, the wavelength encoded optical pulses are generated at the tunable laser, propagate along the feeder fibre and break into up to 32 equal replicas at the splitter. Since all arrays are nominally equal, it is very probable that several FBGs reflect at the same wavelength. When that happens, for each pulse there are several reflections which combine at the splitter and arrive together at the detector, whose associated control circuitry has somehow to resolve them, and to determine what is reflecting from where. To understand how this is achieved, it is now necessary to leave the simple system description from Fiber Splitter and turn to a more comprehensive one, which is shown in Figure 1. As can be deduced from Figure 1, even though all arrays are nominally equal, their distance to the Fiber Splitter is different. From each array to the Fiber Splitter there is a fibre section, and the lengths of these sections are all different. In Figure 1 the sections are marked with the term “delay”, since their purpose is to force a differential delay between all reflections impinging back on the Fiber Splitter at a same wavelength. So, the way to identify at the optical receiver which reflections is coming from which FBG is to make use of the fact that FBGs resonating at the same wavelength are placed at different distances to the measurement equipment; in short, what has to be done is to resolve distances. The standard method to resolve distance, the so called Optical Time Domain Reflectometry, OTDR, consists on sending along the fibre short optical pulses, and measuring the time it takes for their reflections to reach the measurement equipment receiver. In this way, both the position and intensity of the reflections along the optical fibres can be determined. And, as has been stressed, it is also required that each pulse has a differrent wavelegth. One alternative procedure equivalent to turning the laser on and off, which is f easible with the kind of state of the art tunable lasers recommended by this project, is to take advantage of the lasers fast wavelength switching speed (tens os ns). It is shown schematically in Figure 1. Its principle of peration is to divide the optical wavelength space in two bands: the first one, or “on band”, contains the Bragg gratings resonance frequencies, and the second one, “off band”, is empty of them. The laser addresses the gratings not with optical intensity pulses, but with p ulses in the wavelength domain, i.e. short petiods of time with output in the “on band”, followed by longer periods, which will be termed “off periods”, during which the frequency is in the “off band”. The receiver is preceded by a band reject, or notch, filter which eliminates the “off band”. Thus, it is reached by reflected optical pulses which are identical to those which would be receivede if the laser could be really turned off during its “OFF period”. The notch filter is readily implemented with a Bragg grating, whose key parameters to be specified are its reject band and insertion losses. This measurement procedure, or interrogation strategy, will be termed Frequency Shift Keying (FSK) OTDR, since the frequency, or wavelength, both terms are equivalent, is modulated, keyed, in discrete steps. This entry was posted in Optical Splitter and tagged Fiber Amplifier, Fiber Splitter on July 7, 2014 by Admin. Until now, soldering, laser welding and adhesive bonding methods have been employed for the assembly of optical fiber arrays. The soldering process is need for metallization and high heat loads and affect can affect reliability. Laser welding is regarded as having long-term stability, but it also requires metallization, gigh power lasers, and careful control of a variety of parameters. Adhesives in photonic packaging have many advantages in both cost and convenience as compared to the above-mentioned alternative conventional methods. Currently, adhesives offer advantages in terms of mass-productivity and low-cost. 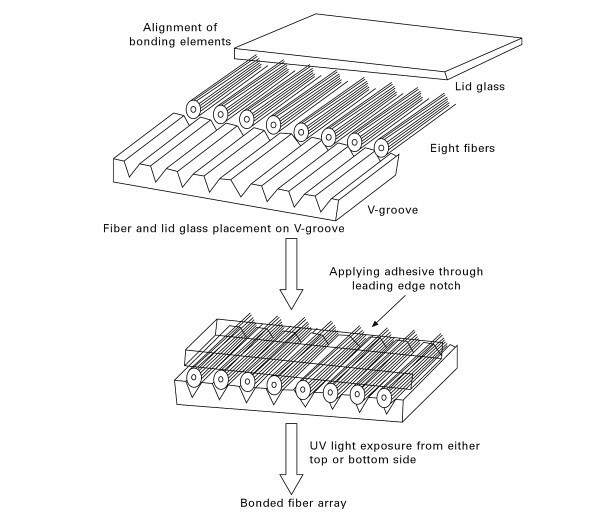 The adhesives described not only perform the function of bonding, but also have the high degree of light transmittance and other properties required to form a bond most suitable from an optics point of view. They can also be cured by both heat and by light, without affecting the Fiber Amplifier. Light curing provides a number of economic advantages: rapid through-cure, low energy requirements, room temperature treatment, and non-polluting and solvent-free formulations. Inthis way, heat-sensitive materials in the assembly are not damaged during cure. The curing process of the adhesive is an important factor in determining the performance of the component. Traditional thermal curing may not be suitable for adhesive curing in photonic applications. Most optical adhesives are photosensitive and require a certain type of light-source for radiation curing. Others are moisture-sensitive and may require a particular level of humidity for curing. Some adhesives can be cured in few seconds and others may require several days to achieve a full cure. They may be curable at room temperature or may require an elevated temperature. Sometimes there is a meed to compromise between the cure schedules of cure time and temperature. However, the final properties of the cured adhesive often depend upon the details of the curing process and schedule. This entry was posted in Optical Splitter and tagged Fiber Amplifier, Fiber Optic Splitter Box on July 4, 2014 by Admin.